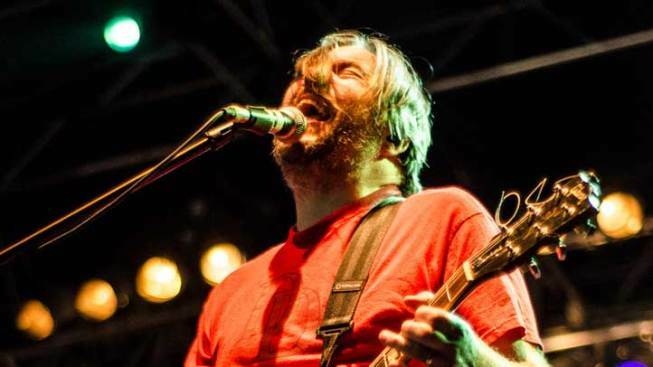 Pinback are coming back to the Casbah -- just one great show among dozens in January. Hello, music lovers, and welcome to 2015! We have a big year ahead: I've heard the North Park Theatre will have at least 100 shows -- wow! As for me, leaving one radio station and joining another was the big news for me this past year. Looking forward to making our town a better place this year and all of you taking somebody new to see a local band. Like my friends say: Good music is good music, local or not! Here are your January concert picks as chosen by me. It's also another month of me booking full nights at the Casbah -- more than normal anyway, so enjoy! Jan. 2: Geezer, Licensed to Ilya, Stevie & the Hi-Stax, Lion Cut and Pants Karaoke at the Casbah. Geezer celebrates ten years as the premier old man Weezer cover band. Ilya covers the Beastie Boys too! Jan. 3: Cattle Decapitation, Theories, Memory, Temblad, Crime Desire at the Casbah. Brutal metal from one of the finest in the game -- and they are San Diegans. Jan. 4: Bondurant at Soda Bar. Rob Bondurant is a local up-and-comer who deserves your attention. Jan. 5: Boxcar Chief, League of Liars, the Shifty Eyed Dogs at the Casbah. All-Pyles-booked Ant-Monday League. Jan. 6: Taken By Canadians, Cotton the Machine, Adult Films at the Casbah. All-Pyles-booked Anti-Tuesday League. Jan. 7: Lieutentant at the Casbah. Nate Mendel of Foo Fighters! Maybe it's really a secret Foo Fighters show? Jan. 8: Maryjane's Underground party, with Desolace, Alien Monster and Marujah. Free party, free 619 Vodka but you gotta RSVP. Jan. 9: Hooded Fang at Soda Bar. Washed-out punk rock from Toronto! Jan. 10: Olivelawn, Deadbolt, White Murder, Uncle Joe's Big Ol'Driver at the Casbah. It's like the 1990s at the Casbah for one night! Come remember! Jan. 11: The Jayhawks at the Belly Up. Making great music from Minneapolis since 1985. Jan. 12: Digital Lizards of Doom, Bakkuda, Bang Pow and DJ Mancat at the Casbah. All-Pyles-booked Anti-Monday League. Jan. 13: Midge Ure at the Casbah. The voice of Ultravox! He was in Rich Kids, Visage and Thin Lizzy, too! Jan. 14: Pinback at the Casbah. These boys make SD proud -- come see an intimate show. Jan. 16: Lita Ford at the Ramona Mainstage. She's a rocker and was in the Runaways with Joan Jett. Jan. 17: Little Hurricane at the North Park Theatre. This show has been postponed. Jan. 18: White Arrows at the Casbah. Psych pop electronica like MGMT. Jan. 19: Mariachi el Bronx at the Casbah. The mariachi side-project of the punk band the Bronx that features Ken Horne, formerly of the Dragons. Jan. 21: Guster at the House of Blues. Alternative indie rock from Boston; new album "Evermotion" out Jan. 13. Jan. 22: The Mast, Lightworks, Bakkuda at Soda Bar. The Mast are a Brooklyn-based duo consisting of Haale (vocals, electric guitars) and Matt Kilmer (drums). Jan. 23: Pierce the Veil at Viejas Arena. Before Today, then Early Times, and now Pierce The Veil. If you lived here, you know this about the band, but to the world they are Pierce the Veil, and this is their biggest headlining show at home ever! Jan. 24: The Paul Collins Band, the Widows, Amerikan Bear at the Til Two Club. Paul Collins was in two influential power pop bands The Nerves and the Beat. Jan. 25: The Coup at the Casbah. Funk/punk/aggressive-disco/hip-hop with dominating frontman Boots Riley. Jan. 26: Tactical Fever, Scuffs, Nice World at the Casbah. All-Pyles-booked Anti-Monday League. Jan. 27: Mates of State at the Casbah. Husband-and-wife duo that play singable pop tapestries of sound. Jan. 28: Dead Feather Moon, Shake Before Us, Barbarian, at the Belly Up. Great local bill of some of my favorite SD bands! Jan. 29: The Devil Makes Three, Joe Pug at House of Blues. Bluegrass and folk sounds from this Santa Cruz-based band. Jan. 30: FREE SoundDiego LIVE at the Casbah with We Are Scientists, Schitzophonics and Nicky Venus. I am Hosting and you should RSVP here while you can! Jan. 31: Patti Smith at the Balboa Theater. She's more punk than any of us could ever dream to be! She is legend! Here's to a great 2015! I hope your 2014 was awesome and can only be beaten by what lies ahead. I thank you all for the support of my move from FM94/9 to 91x, which was the biggest thing to happen to me this year. I look forward to the EPIC year of supporting local music that lies ahead! If you want to keep up with what I'm doing, follow me on Twitter or Instagram -- both are @thelocalpyle and I follow back! I love this town, and it truly just keeps getting better! Thanks for reading and keep on keeping on, friends! Tim Pyles, a longtime local who grew up in La Jolla, is the unofficial mayor of local music and hosts the Loudspeaker show via 91x every Sunday from 7-10 p.m. He also books local acts at the Casbah, where he hosts the weekly Anti-Monday League, and books/hosts the monthly Maryjane's Underground at the Hard Rock Hotel. Follow him on Twitter @thelocalpyle or reach him directly here pyleste@yahoo.com.